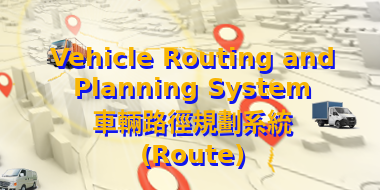 Route is an easy to use vehicle routing and planning software specialized in arranging delivery and service appointments, that includes route optimization from third-party Map API, each vehicle delivery schedule to minimise distance travelled or hours worked while fulfilling customer orders. The algorithms take into account of constraints such as total distance travelled, time window, service time and vehicle capacity. Route101 is suitable for companies with an own fleet or mobile workforce, specialized in products and services for which customers need to be available on-site; our solutions help to decrease costs, improve service, increase productivity, and reduce the environmental impact of your fleet. Let Route101 handles these complexities. if no paid third-party Map API service used, a straight-line distance between two locations calculated. Remark: The above suggested prices do not include the costs of using third-party Map API service, user has to pay separately to the third-party Map API service; in addition, routing runs are subject to change without prior notice. In case of dispute, we reserve the right to make final decision.